Sign up for Chronic Pain Management Tips! 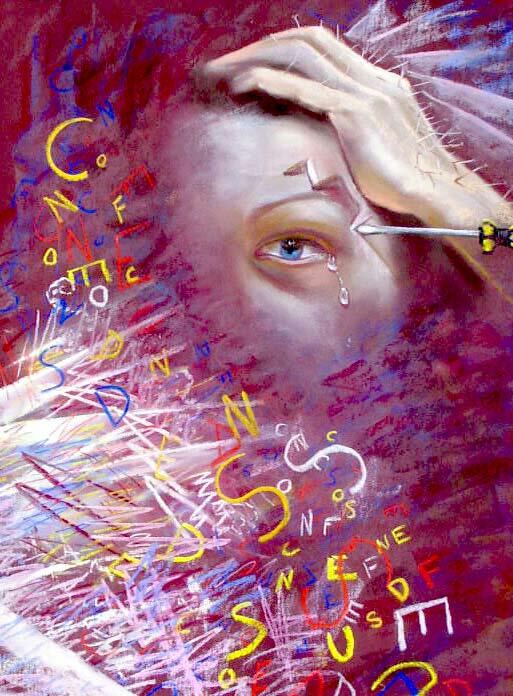 This art a courtesy of Portraits of Pain – PainExhibit.org, an online educational, visual arts exhibit from artists with chronic pain who use art to express some facet of the pain experience. The Pain Exhibit’s mission is to educate healthcare providers and the public about chronic pain through art, and to give voice to the many who suffer in silence. I love making jewelry, designing clothing and knitting. A friend & I got together since we both have CRPS and we started a Facebook page to sell our items. https://www.facebook.com/DollsinPainwithRSD/timeline check us out sometime.